The term cohabitation most commonly refers to unmarried couples living together, but it also applies to roommates and other living situations. If you choose to cohabitate, take care to obtain the right coverage for your situation. The general overview below highlights key concerns; however, it doesn’t address every circumstance. Talk with our Associates about your specific situation, so that we may offer you appropriate guidance. Insurance companies have made it easier for unmarried couples to purchase a homeowners’ policy together, which wasn’t always the case. However, if only one partner owns the home/condo, the other partner’s possessions and liability are not covered by the home policy. In this situation, there are two solutions. 1) Add your partner to the policy as a co-occupant. 2) Have your partner buy a renters’ insurance policy. We can help you determine which option is best for you. The value of possessions add up quickly, and everyone should have liability protection. 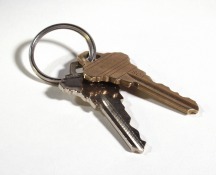 If you rent, your landlord’s insurance does not protect your possessions or your liability. You need a renters’ policy. Some companies will cover both unmarried partners under one policy; others require separate policies. Roommates should each have their own renters’ policy. An additional benefit is that renters’ insurance can qualify you for auto insurance discounts. Drivers—Automobile policies have very specific language outlining who must be listed as a driver for coverage to apply. Whether a couple/family or simply roommates, the key question is “Do you allow each other ‘regular use’ of your vehicle(s)?” Regular use doesn’t simply mean daily or weekly use; it also applies to any patterned monthly or allowed usage. If in doubt, it’s better to be safe and list each other as drivers. You don’t want to have a claim and have a coverage questioned or denied because you didn’t address having drivers listed properly. Discounts/Savings—If an unmarried couple owns multiple vehicles jointly, you may save money by having one car insurance policy and qualifying for a multi-car discount. Another issue to keep in mind is that to qualify for a home/auto multi-policy discount, a vehicle must have the homeowner’s name on the vehicle registration. For additional liability protection, unmarried couples should consider a personal umbrella policy. If you rely on each other financially and/or have children, make sure that you have sufficient life insurance in place. If you’re doing financial planning remember that insurance is a key element.